There are many diet plans that promise quick or rapid weight loss results if dieters use their so-called “special” methods. Many of these fast weight loss plans have some type of hook such as a special ingredient, supplement, or strange eating routine. Many of these are considered fad diets because of this. These diets are popular because instant gratification is engrained in our fast-paced modern culture, however, they do come with their share of risks and may actually cause more harm than good if the dieter isn’t careful. Is Rapid Weight Loss Possible? Most of the time, if you cut through all the fluff, quick weight loss diets are usually just low-calorie diets with some being very low in calories. VCLD’s often result in a good deal of water weight loss at the beginning, which can cause the illusion of fat loss. While this can be good motivation for making further effort, many people on rapid weight loss diets get frustrated when that trend doesn’t continue. Other diets may promote quick weight loss in the beginning, but then advocate slow and steady weight loss as the diet continues. This is a much more realistic approach to how losing weight actually occurs. Metabolic Slowdown: Diets really low in calories can potentially stall the metabolism leading to an even more difficult time losing weight. Dieters must support their metabolism and exercise while maintaining a safe calorie deficit to avoid this. 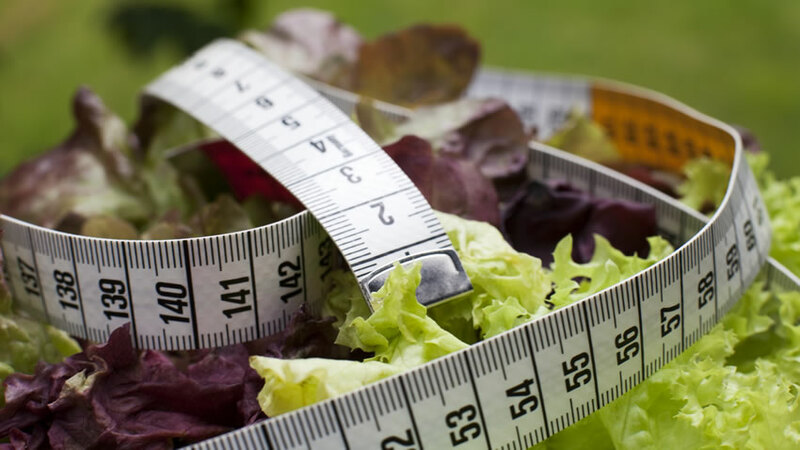 Malnutrition: Because many quick weight loss diets eliminate food groups and are drastically low in calories, they can leave you malnourished, which can lead to other health problems. Yo-Yo Dieting: Quick weight loss tends to contribute to yo-yo dieting. It is unhealthy for a person’s weight to continually fluctuate back and forth. Frustration: Dieters often gain the weight back and become frustrated with dieting and give up altogether. Loose Skin: Losing weight quickly leaves dieters more prone to loose and saggy skin, which sometimes has to be surgically removed. This is often seen in those who underwent gastric bypass surgery. Eating disorders: Because of the nature of most quick weight loss diets, they can contribute to eating disorders and an unhealthy relationship with food. People begin to see foods as good and bad and feel guilty when they eat the “bad” ones. There are some diets that do promote quick weight loss, but they do so in a healthier way. These diets either have a healthy eating plan in place or they are medically supervised. Here are a few to consider before choosing one that could be potentially dangerous to your health and wellbeing. 3 Week Diet System Up to 23 pounds with this 3-week system. 17 Day Diet 10-12 pounds in 17 days using a low carb method. Medifast Up to 5 pounds a week the 1st two weeks using meal replacement products. Medically supervised. 10 Pounds in 10 Days Promises rapid weight loss by following a low-calorie diet and intense exercise. 400 Calorie Fix Up to 11 pounds in 2 weeks using a low-calorie meal plan. Jumpstart to Skinny Lose 20 pounds in 21 days with Bob Harper. Many rapid weight loss diets promote dangerously low-calorie amounts or “special” ingredients that will likely just take your money. All of the research supports slow and steady weight loss, not only as a way to lose fat in a healthy way but also as a way to keep the weight off for good. People who lose weight via quick weight loss diets usually gain the weight back soon after and add even more pounds, which eventually leads to yo-yo dieting. 3 Day Diet Very low in calories and nutritionally poor. Sacred Heart Diet A soup diet that is too low in calories and nutritionally lacking. Egg Diet Some versions advise dieters to eat nothing but eggs. Cabbage Soup Diet Promises rapid weight loss by eating nothing but cabbage soup. 7 Day Diet A 7-day meal plan that’s too low in calories and is nutritionally poor. Make sure that whichever diet you choose can become part of your lifestyle. If you can’t see yourself eating a particular way for the next year of your life, then the diet will not be sustainable nor likely successful. I love this and I trust you all they way thank you.!!!!!!!!!! Your body reacts differently to the type of food source you’re consuming. Fat for instance is processed quickly by your body since very little chemical breakdown needs to done it for your body to use it. As such, when you consume fat your body will either use it as an immediate source of energy or store it as fat. Interesting tips, we appreciate you taking the time to share them with us! True words: “If you can’t see yourself eating a particular way for the next year of your life”. We have to be willing to change our lifestyle a little bit if we want to achieve our weight goals. You don’t know me but my name is Elisa and I bought The 3 Week Diet mentioned above one month ago. I want to share my weight loss story with you, Brian. I appreciate all your efforts for preparing weight loss diet plan, few things i would like to share with you that while following any diet plan for weight loss we became over conscious while eating and this build a mental pressure on us. How you deal with this pressure and overcome your frustration. Hi! Meghna just read your comment and query. Yes we do build a pressure or we become too conscious about our diet,I suggest that one shouldn’t be to conscious rather one should go for smart eating. In such a situation we won’t suffer the dilemma of following the plan. You put a story in here about a military wife that lost weight by taking pure life garcinia. I heard that stuff wasn’t any good. Could you let me know if it is or isn’t any good. Does it really work? Completely agree with you. Why are people still struggling to lose weight? It’s simple and it’s not rocket science. You need to BURN more calories than you are TAKING IN. Now in a perfect world this will be a lot easier than it sounds. However, with amazing and nice food literally around us everyday it’s hard to discipline yourself. To start losing weight, and to permanently keep it off, you need to make LIFESTYLE CHANGES. Take a 30 minute walk as soon as you wake up, while on an empty stomach. 90% of the time eat CLEAN. For example if you have 4 meals a day, then 10% of that food can be whatever you want it to be. Do weight training 3x per week only. This will keep you motivated for the long run. Hope this helps. When I lost weight at the start of my journey this is what I used.